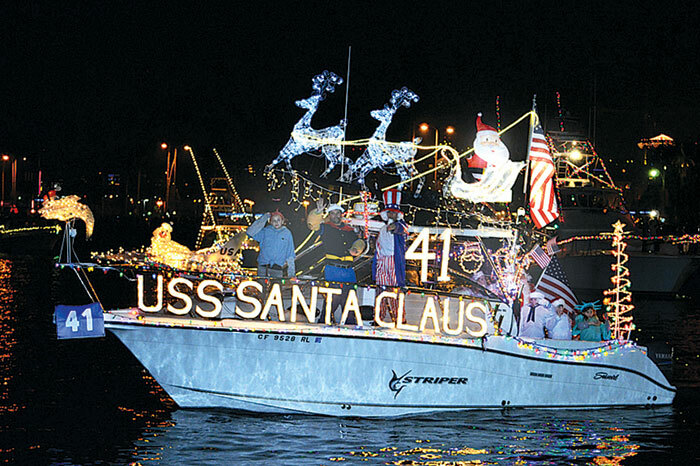 Presented by the San Diego Unified Port District, the annual boat parade is scheduled for Dec. 8 and 15. Each year, the parade brings more than 100,000 residents and visitors to the shores of San Diego Bay, according to organizers. Spectators can watch from land and on the water as more than 80 lavishly decorated vessels proceed along a parade route that runs from Shelter Island past Harbor Island, then south along the Embarcadero, Seaport Village and Ferry Landing in Coronado. The two-hour parade can be viewed from many waterfront vantage points. Prizes will be awarded in a variety of categories to vessels that best capture the parade’s theme. All participants will receive a plaque and an invitation to an awards dinner planned for Jan. 9, 2014. For more information on the San Diego Bay Parade of Lights, visit sdparadeoflights.org.